110 Xi III Plus, Thermal Transfer, 600 dpi, 3.2 inch print width, 4 ips, Serial,USB, Parallel, 16 MB SDRAM, 120 VAC US power cord, Clear media side door & Media supply spindle. ZT410,REFURBISHED/USED/REBUILT Thermal transfer Printing,203 dpi, 4? print width, Wi-Fi/USB/RS-232/Ethernet/Bluetooth interfaces, EZPL Includes 90 day warranty. ZM600, Industrial thermal transfer barcode printer, 203 dpi, maximum print width 6″, ZPL, Standard flash, Interface Options: Serial, parallel, USB and Ethernet, US Power cord and Ribbon Spindle Out included. Zebra ZM600 – Thermal transfer printing, 203 dpi, 6″ print width, USB, Serial, Parallel, Ethernet, and Wi-Fi (802.11b/g) Interfaces, and US power cord. Cables sold separately. 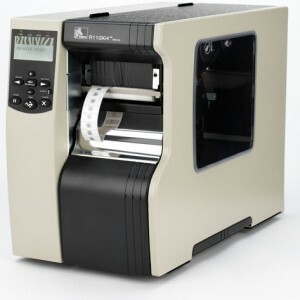 ZT230, Standard ZT230 features include 4″ print width, Direct thermal print mode, 203 dpi, Tear bar, USB 2.0, RS-232 Serial, EPL 2 and ZPL II Programming Language, North America power cord. ZM400, 203 dpi – Thermal transfer – 4″ Print width – USB, Parallel, RS-233 (Serial), Ethernet – US Power cord. ZT220, Industrial thermal transfer barcode printer, 203 dpi, 4″ print width, Tear bar, Interface Options: Ethernet, USB, Serial, Emulation languages: EPL 2 and ZPL II, Includes North America power cord. ZT230, Thermal transfer printing, 203 dpi, 4″ print width, Serial, Parallel, and USB Interfaces, Peeler with Linear Take-Up, and US Power cord. Cables sold separately. ZM600 Thermal Transfer Printer, 203 DPI, 6″ Print Width, USB, Serial, Parallel, and Wi-Fi, 802.11 b/g Interfaces. Includes US Power Supply. Cables sold separately.